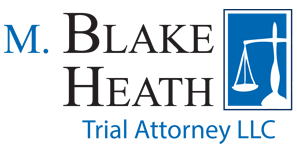 M. Blake Heath is honored to be recognized as a Rising Star in Missouri and Kansas by Super Lawyers. Super Lawyers receives nominations and then thoroughly vets each candidate through peer reviews and research before giving a lawyer the designation. Only 2.5 % of attorneys are recognized as Rising Stars.